Our donors are acknowledged in our communications to parents, alumni, parish, and friends throughout the course of the year and on our website. Our special Thank You Mass and reception for our Angels In Education and Scholarship donors is January 25, 2019. Our Partners In Education are invited to Special Persons Day during Catholic Schools Week. 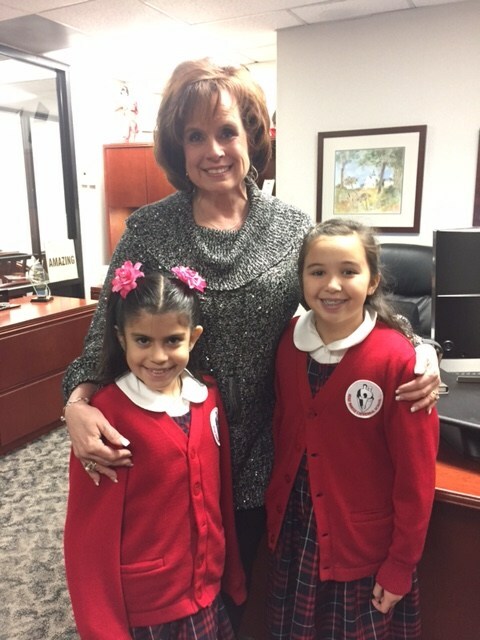 During Catholic Schools Week our students delivery home-baked cookies to our community partners and supporters as well as to our civic leaders. Donors to our endowment are honored at the levels of giving with various naming opportunities.